Flexible enough for almost every company's requirements, configuration is simple and automatically transferred to mobile devices for data gathering. 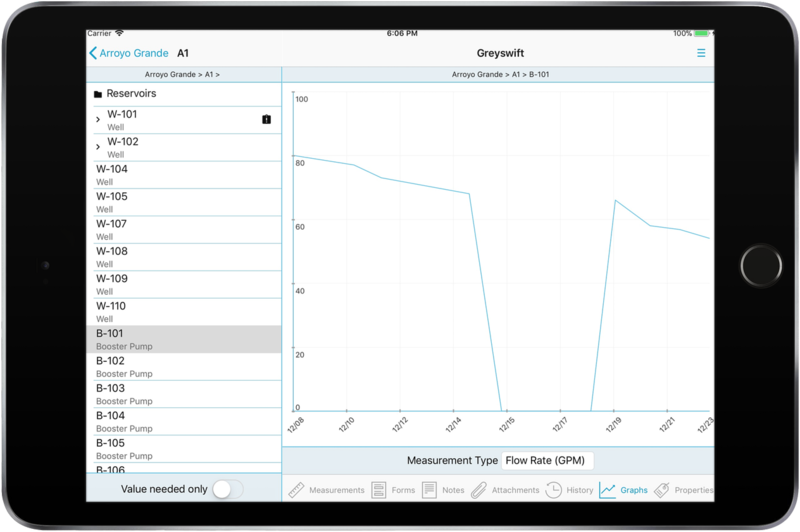 With the Greyswift mobile app, your field workforce will more reliably and quickly collect data. 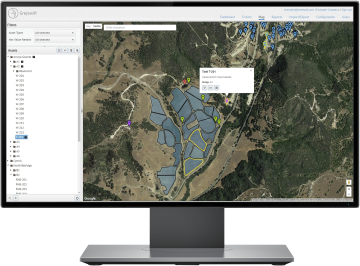 More immediate data means greater awareness and faster evaluation for critical decisions. Collect data with or without an internet connection. Operators may gather data in the field and then upload their data when an internet connection is available. Data that needs to be collected can be assigned valid values and limits. This validation is enforced in Greyswift's mobile app during data entry. Use built-in reports to view your data or export it to a variety of formats. It may also be downloaded from our API to be used by your in-house programs and personnel. Your data belongs to you. Easily see the creator of any data value in the system. Each member of your workforce may have a user account in Greyswift. Using proven best industry practices, our infrastructure in the cloud offers high redundancy, security, and availability for your data. For specific technical questions, please contact us. See the exact location of your assets and where your data is being collected with Greyswift's mapping feature. Each user is assigned a role that describes their level of privilege in the system. Your administration personnel can control the abilities of other members.